Elsa in black & white Python, from the Lisa Kay London collection, a shoes that's simply stunning on the foot with it's V front designed to come up and over the toe joints (no seams). 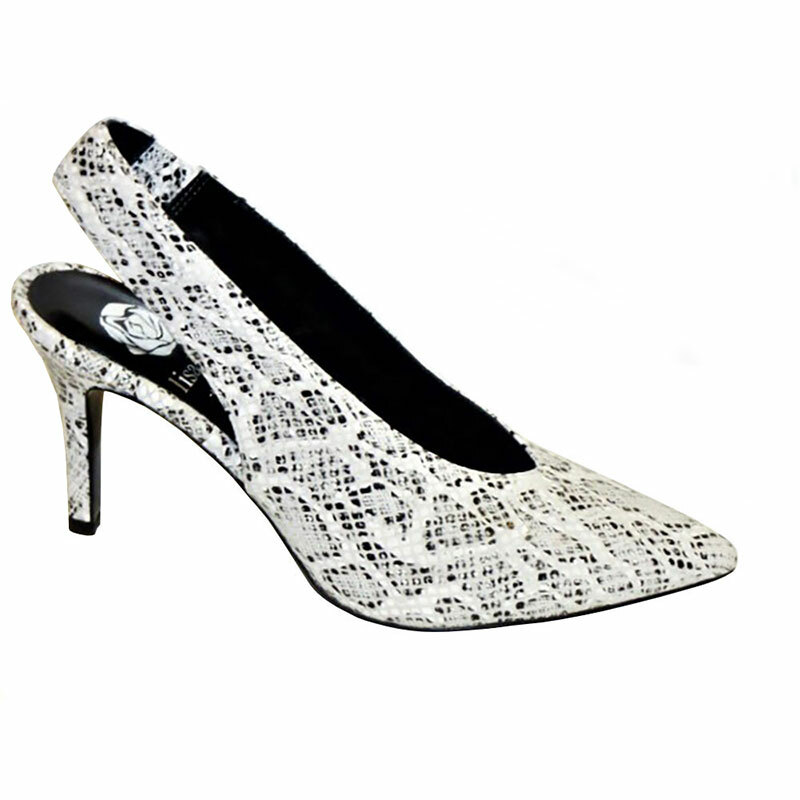 This slingback shoe is fitted with an elastic trim in black & white python enhancing the fit and comfort. It is the ultimate shoe for Mother of the bride or just simply day to evening wear. A Must Have in every Women's wardrobe.